Lily knows that nothing is more important than family. She's so proud when her sister, Eubie, wins a college scholarship. 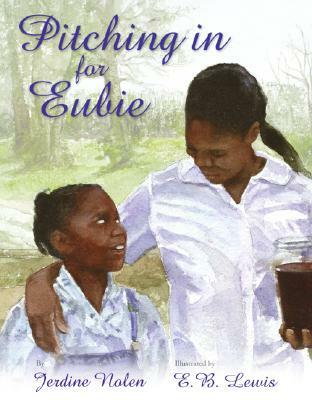 And when her family pulls together to earn the rest of the money Eubie needs, Lily wants to help out too. But she's too young to do most jobs. What can she do to pitch in for Eubie? Through her lyrical prose, Jerdine Nolen shares a heartfelt story about people working together to make dreams come true. And as Caldecott Honor artist E. B. Lewis reminds us in his luminous, tender paintings, nothing is more important than those family ties that bind us. E. B. Lewis has won several awards for his magnificent illustrations, including a Caldecott Honor for Coming On Home Soon by Jacqueline Woodson and a Coretta Scott King Honor for Talkin' About Bessie by Nikki Grimes. E. B. Lewis teaches illustration at the University of the Arts in Philadelphia and lives in Folsom, New Jersey.